Mum of one and founder of YogaBellies® Cheryl MacDonald, along with her husband and pregnant YogaBellies teacher, Sophie Keil will appear on Dragons’ Den this coming Sunday. 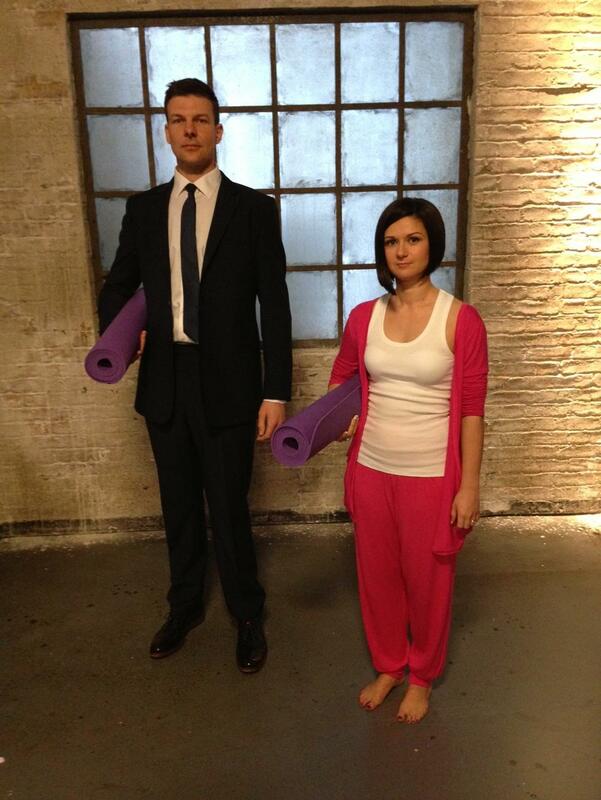 The den falls into unusual serenity when this Glasgow couple demo their women’s yoga franchise…. Cheryl was recently been handpicked as one of the “Top 100 Mums in Business” and was nominated for “Mumprenuer Champion” at the MumsClub 2012 awards. In addition to this, Cheryl also made the finals of Women of the Year 2012 award and YogaBellies as an organization was a finalist in the Working Mums Employer of the Year awards[i] and were finalists in the What’s on 4 Little One’s Best Pre and Post Natal activity award.